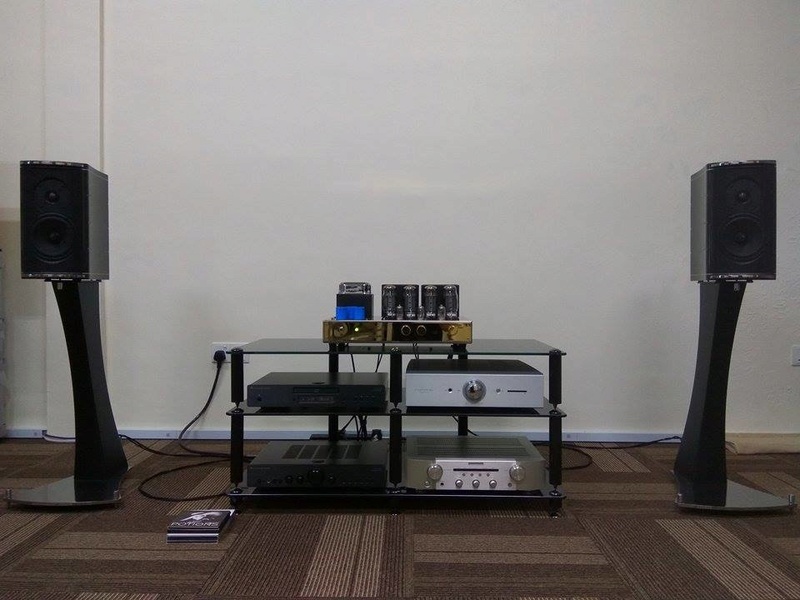 Please contact us at 016-7255372 ( Wendy ) or 012-6143049 ( Ms.Wee ) for further detail or to arrange for a demo in our showroom situated in Taman Melaka Raya , Melaka . Last summer, in an uncharacteristic fit of wanderlust, I took an American Airlines flight to London. Two days later, I rode the Eurostar train to Paris in the company of my daughter and my wife, a travel agent, who had secured first-class train accommodations on her professional discount. Our ride was brisk, but the upgrade would have been a waste at any price: The Eurostar food was vile. That would be my last bad meal for a long time: The food in Paris, from the humblest baguette to the loftiest saumon en croûte, was brilliant, the French apparently having determined long ago that life is too short for bad food. My family and I were inspired. Since that time, we have brought to bear on our day-to-day lives as much as possible of their culinary thinking. My story could end there, except for one thing: Not long after my return to upstate New York, I received from their North American distributor an integrated amplifier made by Jadis, the family-owned company that has, since 1983, built tube electronics in the Languedoc-Roussillon region of southern France. The I-35 amplifier looks beautiful and—forgive the spoiler—made music in a manner that would seem to guarantee it a place among a hallowed few. Apparently, there are those among the French who believe that life is too short for bad hi-fi gear, as well. 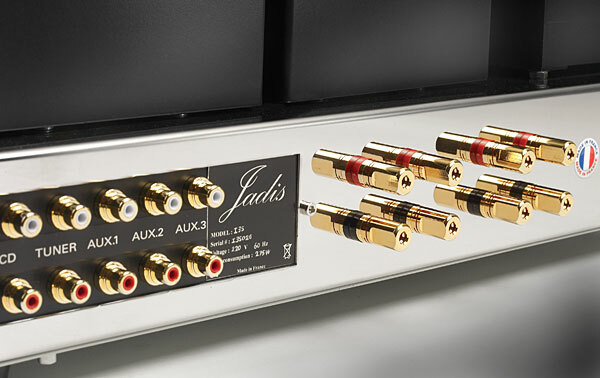 The Jadis I-35 is a true integrated amplifier, inasmuch as it incorporates both a stereo power amplifier and an active stereo preamplifier—the latter instead of a mere passive line stage. The distinction may seem unimportant to some, but to those of us who tend to regard passive preamps as somewhat lacking in musical drive and momentum, it is anything but. Like the vast majority of today's perfectionist-quality integrated amplifiers, the I-35 does not include a phono section. The I-35 uses five small-signal tubes, the centermost of which—a 12AU7 dual-triode—provides line-level gain for both channels of the active preamp stage. Two other 12AU7s function as left- and right-channel phase inverters for the push-pull power section, while a pair of 12AX7s drive the power tubes. 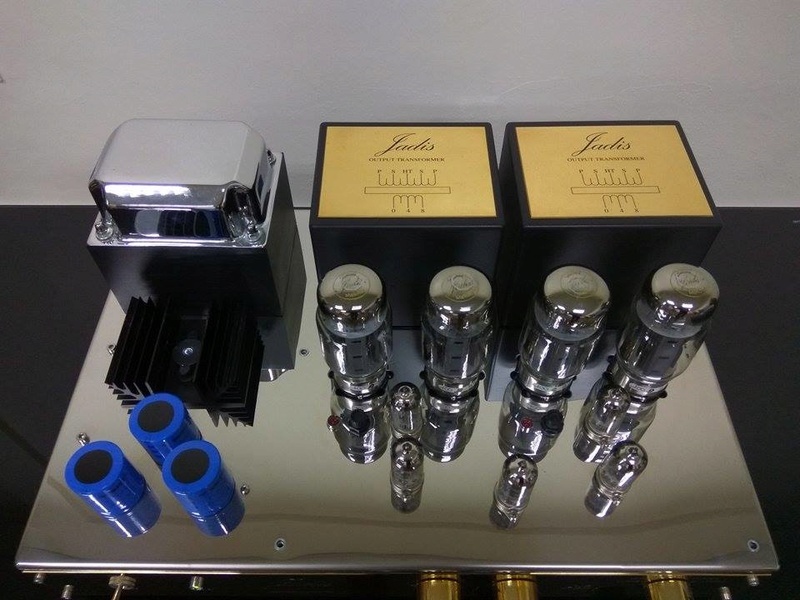 The output section is built around the recently introduced KT120 tube, a descendent of the original MO Valve Compnay KT88 "kinkless tetrode." 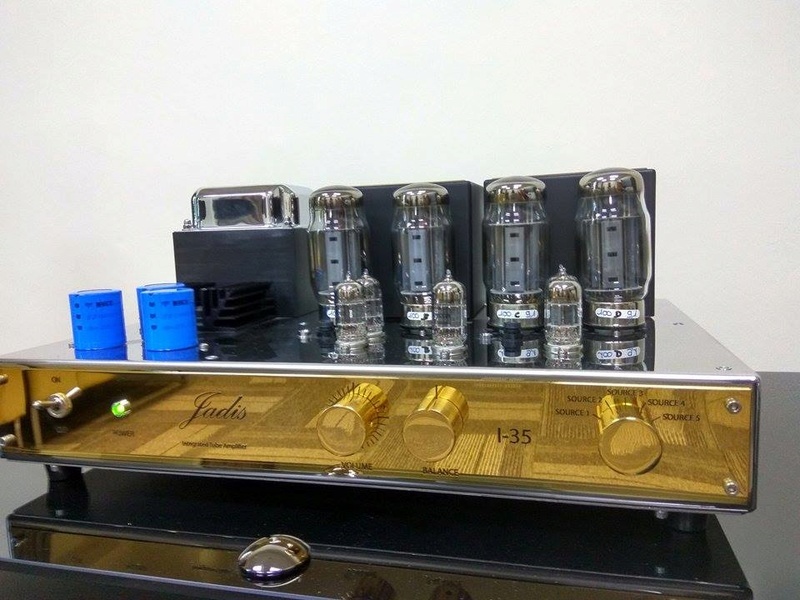 Billed elsewhere as the most powerful beam-power tube available, the KT120 has, in the Jadis I-35, been given a somewhat more refined role, with one pair per channel biased for class-A operation, offering a crazy-high 30Wpc. The KT120s are run in autobias mode—which, one presumes, will maximize tube life—and operate in an Ultralinear circuit, with plates and screen grids for each channel tied to the split-coil primaries of transformers designed and made in-house. 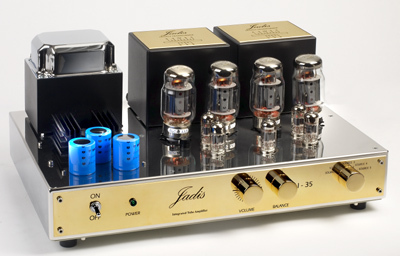 The Jadis I-35's power supply also uses Jadis's own iron: a mains transformer of considerable heft plus a moderately sized choke, the latter electrically sandwiched between two banks of reservoir capacitors, forming a pi filter of the usual sort. Rectification is all solid-state, implemented with individual semiconductor diodes for the rail. Regulation seems to be especially generous for the hefty filament supply, incorporating as it does a top-mounted TO3 regulator with its own heatsink. Indeed, during my time with the I-35 I heard not the slightest bit of hum or noise. The I-35's construction quality is well above average. The generous size of the chassis—made necessary, I suppose, by the considerable weight of the thickly potted transformers—has been put to good use. Input connections for the hefty rotary selector switch are made using a printed-circuit board, and my review sample had a small logic board for its remote control's IR receiver; all other wiring is done by hand, point to point, with distinctly clean, logical routing and dressing of wires. Solder joins were consistently clean and well done: The I-35 looks nearly as good inside as outside. Speaking of cosmetics: Although a few other companies have aped, in the years since their debut, the signature Jadis combination of chromed steel chassis and brass-colored knobs and faceplate, none have captured quite the same look: Somehow, the Jadis I-35 comes out looking lighter, smaller, and more delicate than it really is (aided in this effect by the lovely script logo, I think)—a welcome distinction in a hobby overburdened with bulk and little-boy-ishness. As one might expect of any amplifier that, at 55 lbs, weighs more than a large microwave oven, the single most difficult part of installing the Jadis I-35 was lifting it free from its good if somewhat travel-worn carton and packing materials. For that reason, and because the rather wide amp had trouble sharing the top of my rack with my rather wide turntable (the lower shelves offered too little clearance), the I-35 spent the bulk of its time here on my hardwood floor. For their part, the amp's nine tubes were safely contained in their own subcarton, and were lettered and numbered for installation—which, after I'd determined how to remove the black-mesh tube cage, went smoothly enough. The only other challenge came when I set about connecting the I-35 to my loudspeakers. There are two complete sets of binding posts on the rear panel, but—apart from red rings on the top row of connectors and black rings on the bottom—there are no markings at all. Beyond suggesting that "the load impedance is pre-adjusted in the factory for loudspeakers from 4 to 16 ohms," the owner's manual offers no clues; my confusion was made worse by a graphic atop both of the output-transformer covers, suggesting the existence of individual secondary windings for loads of 4 and 8 ohms. Ultimately I learned, from the FAQ section of the Jadis website, that the two sets of output connectors are in parallel with each other (I later saw that Jadis accomplishes this by mounting pairs of connectors together on uninsulated copper plates), and I learned from experience that the left-channel connectors are the ones closest to the left side of the amplifier when viewed from the front, and so on. During its time in my system, the I-35 delivered every bit of the presence, tone, and texture that I would hope to hear from a contemporary tube amplifier: no small feat in itself. Yet looking back on my listening notes of the past couple of months, I see that most of my observations have more than usual to do with music, and less to do with sound, per se: a good sign. Indeed, although my preference endures for the sound and the presentation of my own reference electronics, the Jadis I-35 was good enough at playing music—at drawing me into the melodies and harmonies and rhythms and ideas captured in my records—that I wasn't watching the clock (or the calendar), waiting for the review period to end. This is a damn good amp for getting to the essence of music. I haven't heard much else from Jadis's current product line; I have no idea whether or not the I-35 is representative. But the I-35 makes me want to hear more from Jadis—and I hope that I will. Life is short enough as it is.